Lulach mac Gille Coemgáin (Modern Gaelic: Lughlagh mac Gille Chomghain, known in English simply as Lulach, and nicknamed Tairbith, "the Unfortunate" and Fatuus, "the Simple-minded" or "the Foolish"; before 1033 – 17 March 1058) was King of Scots between 15 August 1057 and 17 March 1058. Lulach was the son of Gruoch of Scotland, from her first marriage to Gille Coemgáin, Mormaer of Moray, and thus the stepson of Macbeth (Mac Bethad mac Findlaích). Following the death of Macbeth at the Battle of Lumphanan on 15 August 1057, the king's followers placed Lulach on the throne. He has the distinction of being the first king of Scotland of whom there are coronation details available: he was crowned, probably on 8 September 1057 at Scone. Lulach appears to have been a weak king, as his nicknames suggest, and ruled only for a few months before being assassinated and usurped by Malcolm III. Lulach's son Máel Snechtai was Mormaer of Moray, while Óengus of Moray was the son of Lulach's daughter. He is believed to be buried on Saint Columba's Holy Island of Iona in or around the monastery. The exact position of his grave is unknown. Lulach is an important secondary character in Dorothy Dunnett's historical novel King Hereafter, where he is portrayed as a seer. In the novel, Dunnett used Lulach as a mouthpiece for researched information about the real Macbeth. Lulach is also one of the protagonists in Jackie French's children's novel Macbeth and Son and in Susan Fraser King's novel Lady MacBeth. ^ Lulach mac Gille Coemgáin is the Mediaeval Gaelic form. ^ Skene, Chronicles, p. 102. ^ Anderson, Early Sources, vol. i, p. 603. ^ "King Hereafter". Dorothy Dunnett. Retrieved 2 September 2016. ^ Hateley, Erica (2010). Shakespeare in Children's Literature: Gender and Cultural Capital. Taylor & Francis. p. 90. ISBN 9780415888882. 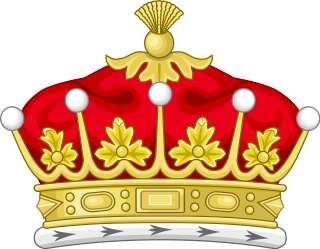 The title Earl of Moray ("Murray") has been created several times in the Peerage of Scotland. It has been held by Clan Stewart since the 16th century, when James Stewart, illegitimate son of James V, was granted the title. Cairn O' Mounth/Cairn O' Mount is a high mountain pass in Aberdeenshire, Scotland. The place name is a survival of the ancient name for what are now the Grampian Mountains, earlier called "the Mounth". The name change happened from circa 1520 AD. The Ordnance Survey shows the name as Cairn o' Mount. Lumphanan is a village in Aberdeenshire, Scotland located 25 miles from Aberdeen and 10 miles from Banchory.